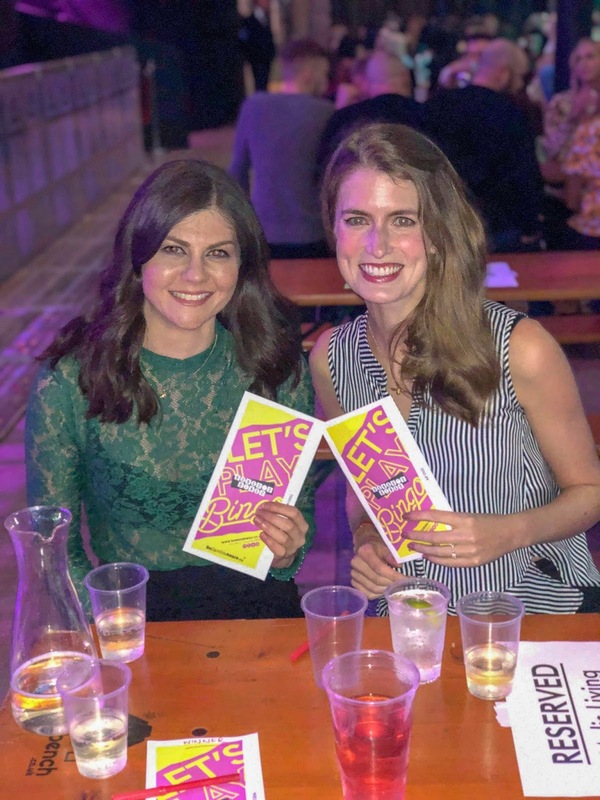 We were invited to review Bongo's Bingo and received complimentary tickets and a bottle of prosecco. To read my full disclaimer, click here. Bongo's Bingo has become very popular in Newcastle, with tickets selling out immediately. It's one of those concepts that nobody quite gets until they have been, so last night I took four friends along with me to check it out and share with you exactly what to expect if you get tickets. Spoiler: it is nothing like your local bingo hall. Those are my pals on the bottom right, we were very lucky to get a table right at the front! Do you actually play bingo? Yes it is absolutely like any other game of bingo with your bingo cards and pens, both of which are included in your ticket price. Some people brought their own dabbers but this isn't essential. The aim is to get one line, then two lines, then a full house in order to win various prizes. There are eight games of bingo each night with breaks scattered in between the games. What makes it different then? 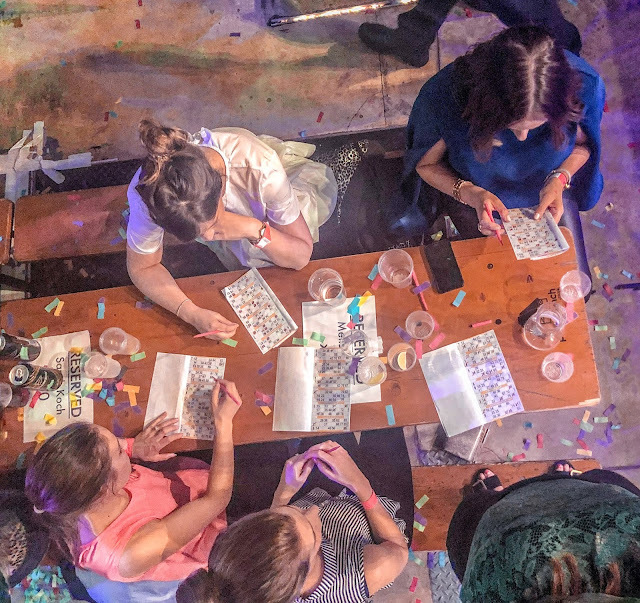 Bongo's Bingo is best described as a night of classic bingo games mixed with comedy and an old-school rave. There are endless tunes played, sometimes randomly in the breaks, and other times when they relate to a particular song. For example, if 22 is called they play Taylor Swift! People get up on the benches to dance from the beginning and it's a fun, crazy, party atmosphere. This was my second time at Bongo's Bingo and the prizes seem to vary each time. You always get some boozy prizes and big cash prizes for a full house with £1000 being the top prize on offer right at the end. There are very random novelty prizes as well ranging from a cardboard cut-out of Theresa May, to a huge box of monster munch crisps, a karaoke machine and the beloved Henry the Hoover. Nobody in my group has ever won anything, but this hasn't stopped us having an amazing night! It is lairy, quite loud, and maybe not one for people who are easily offended. It gets quite rude with lots of swearing and sexual references as the night goes on. This wouldn't be an honest review without telling you exactly what to expect! I've been with a pregnant friend and another who was driving, so you definitely don't need to be drinking to have a great time but it is a great place to have a good few drinks and unwind. There is brilliant security there and anyone misbehaving is stopped immediately. Don't bother trying to sneak anything in as there is a strict check at the entrance and we saw people being sent away even though they had tickets. Anything goes. Some people are dressed up and ready to go straight for a night out afterwards, others are in jeans, hoodies and trainers. Wear whatever you feel comfortable in but flat shoes are recommended for all the dancing on the benches! It finished at around 11.00pm last night although this can vary if there is a certain act on the night you visit. If you want to book a taxi or lift home then it's probably best to check directly when you book, in case the timing is different for the night you are visiting. It can be quite hard to grab a taxi afterwards as it is so busy. so I'd recommend planning this advance and sorting a meeting point with your driver if you plan to head straight home. Do I have to get on stage? This was my friend Claire's major concern so I thought I'd cover it off here! Not unless you win something - and even then I'd say only two or three people ended up being asked on stage to collect their prize. Sometimes two people will get a full house and if this happens, they are asked on stage to have a dance-off to decide who wins. The person who gets the biggest cheer from the crowd scoops the cash! I'm sold, how do I book? 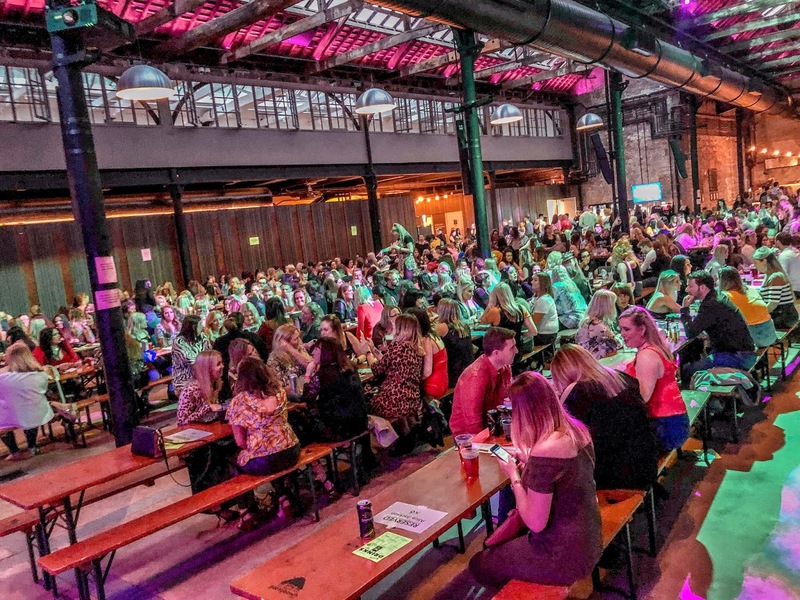 To book your own tickets for Bongo's Bingo, head to the website where you can search for dates and locations. Bongo's is an international event, with nights in places like Ibiza and Paris, so you could even make it part of your travel plans! To find out when tickets go on sale I'd recommend following the Facebook page to grab some before they sell out. Tickets start from as little as £17, including the booking fee. 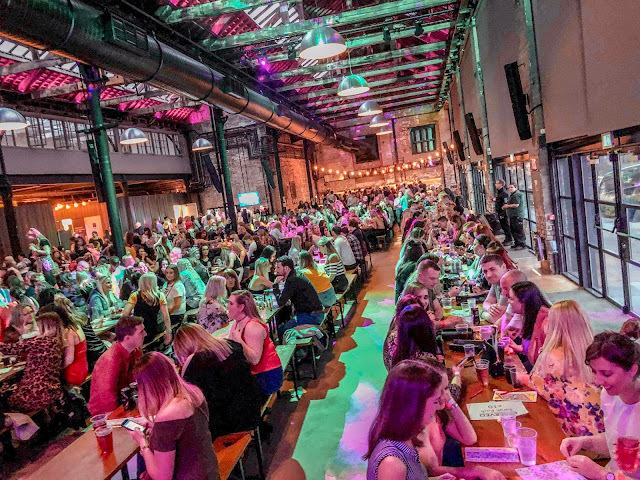 I've tried to cover off the main questions people tend to have about what to expect from Bongo's Bingo, but if you want to know anything else before you visit then please feel free to ask in the comments. It's a really good laugh and I'd highly recommend it for a group looking to let their hair down and have a good dance. It's also perfect for those planning a weekend getaway to Newcastle as it will definitely get your night off to a fantastic start with a good taster of the Geordie nightlife! I've never been but am so intrigued! I might give it a go one day with a group of friends, I think Simon would HATE it! This actually sounds like such a fun take on bingo! I might take my mum, haha! I'd totally recommend it - let me know if you go! I wouldn't blame you, haha, it is very daunting up there!